Palm Bay, FL Air Conditioning Contractor | HVAC Services by Next Generation Air & Heat, Inc. 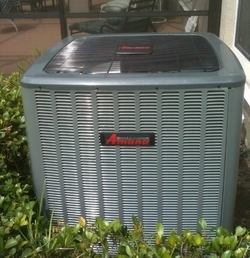 The premier provider of heating and cooling services in Brevard County. Up to $1,000 Instant Rebate - On qualifying Amana equipment! Palm Bay, Florida Heating and Air Conditioning Servicesby Next Generation Air & Heat, Inc.
At Next Generation Air & Heat, Inc. Inc., our technicians are trained to install a variety of air conditioning and heating systems. We also specialize in home efficiency, and we’ll help you select a system and supporting equipment that can provide you lasting results and energy savings. From high–efficiency heating and AC systems to zone control, we can help you find the solutions to all your home comfort needs. We install quality brands that we trust, and we provide 24/7 repair and a priority savings maintenance plan. Call us for your next service! We offer heating installations for a variety of systems, and our highly trained technicians will help you find the heating equipment that works for you. We also offer 24/7 heating repair and routine maintenance in Melbourne, FL. 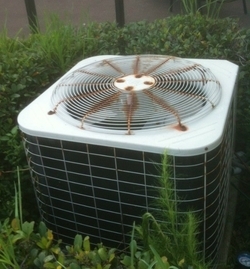 We install a variety of air conditioning systems in Melbourne, FL and offer round the clock emergency repairs. We can also provide maintenance that will help extend the life of your system. We service all makes and models. Our Melbourne, FL indoor air quality experts can find an air filtration system to suit your needs and remedy issues caused by common indoor air pollutants. We install air cleaners, UV germicidal lights, and energy recovery ventilators. 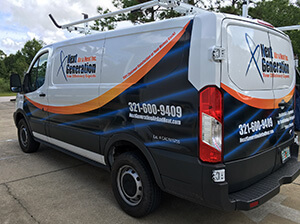 If you need duct cleaning services anywhere throughout the Melbourne, FL area, call Next Generation Air & Heat, Inc. We are here to handle all of your duct cleaning, repair, and sealing as well as your dryer vent cleaning needs. It is no secret that the summer season here in Florida can be incredibly hot and brutally humid. It's also not a secret that running your air conditioner pretty much all of the time can really take a toll on the system. That is why it is so important to leave your air conditioning services in Palm Bay, FL to skilled, experienced professionals. Just dial our number to do so. Our air conditioning options include heat pumps, ductless HVAC systems, central AC systems, and packaged AC systems. If you are looking for heating services in Palm Bay, call Next Generation Air & Heat, Inc. for installations, 24/7 emergency heating repairs, and routine maintenance. If you are interested in reducing your carbon footprint and lowering your energy bills, we can help you choose an energy–efficient model for your home. We offer a 100% money back guarantee with our Priority Membership savings plan to guarantee customer satisfaction. Call today, and our heating specialists will put together a comprehensive heating package that can help to improve overall home efficiency and reduce energy bills. If you are concerned about the air quality inside your home, call Next Generation Air & Heat, Inc. We provide you with a variety of indoor air quality services, including installations for air cleaners, whole–home humidifiers, de–humidifiers, UV germicidal lights, and more. We also offer duct cleaning and duct sealing services as part of our IAQ services. Don’t hesitate to call us if you want to start improving the air inside your home. Call today to get started! 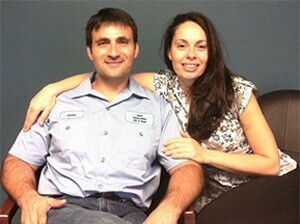 Next Generation Air & Heat, Inc. offers air conditioning and heating services in Palm Bay, FL and surrounding areas. Call us for quality installation, maintenance, and repairs. We offer monthly promotions to help save money. Call today to find out more! We offer 24–hour heating and air conditioning repair in Palm Bay, FL and the surrounding areas. Call Next Generation Air & Heat, Inc. for your next service! If you have an air conditioner that short cycles contact our professional team for service today.